Boasting the latest generation of powerful Intel® processors and performance-enhancing memory, the V130 AIO means business. Fast, responsive, and reliable as standard, it has the option of high-speed PCIe solid state drives, enabling you to switch between apps and handle large files, images, and video with ease. 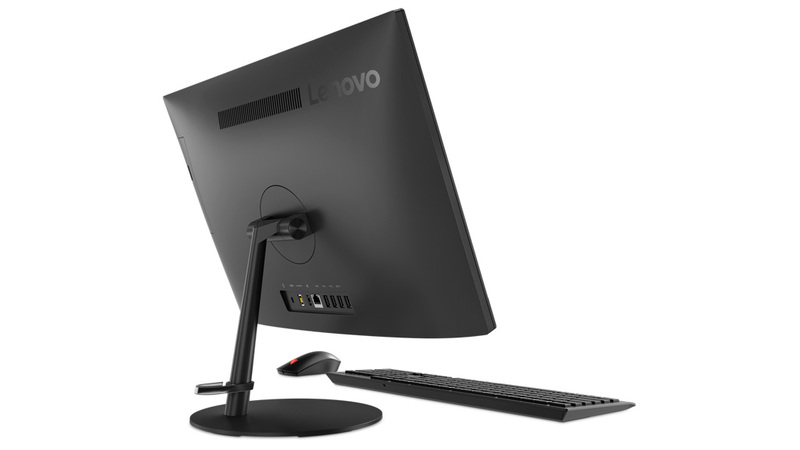 Thanks to Lenovo Vision Guard Control, the V130 AIO's antiglare display significantly reduces the blue light emissions that can lead to eye strain or damage. 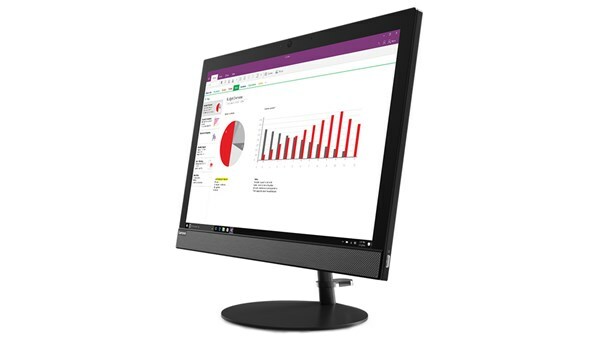 In addition, the 19.5" screen is also certified to be ultra-quiet and extremely energy efficient, meaning a more tranquil working environment and lower utility bills too. 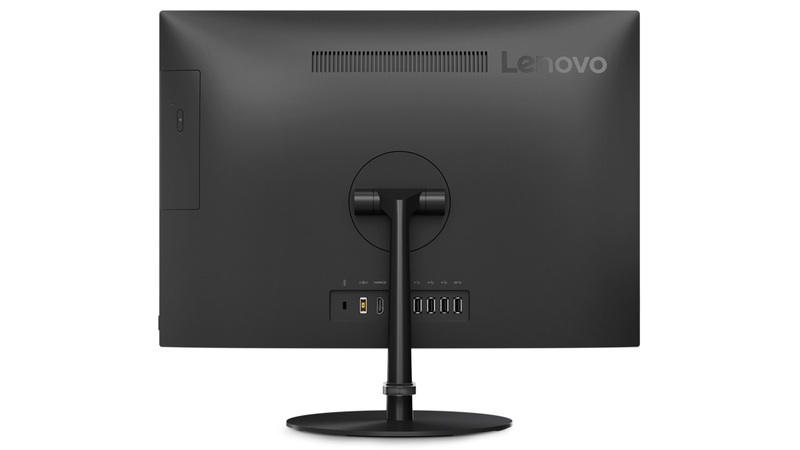 Engineered to adapt to your needs, the V130 AIO can tilt up to 65 degrees. So finding the perfect angle to work or watch a movie is a breeze, as is accessing the machines' various ports. What’s more, the thin-bezel design keeps your focus on the display without adding any distraction. The V130 AIO comes with Smart USB Protection. This BIOS-based security feature lets you configure the USB ports to respond only to designated USB devices, so you can restrict who can transfer data. 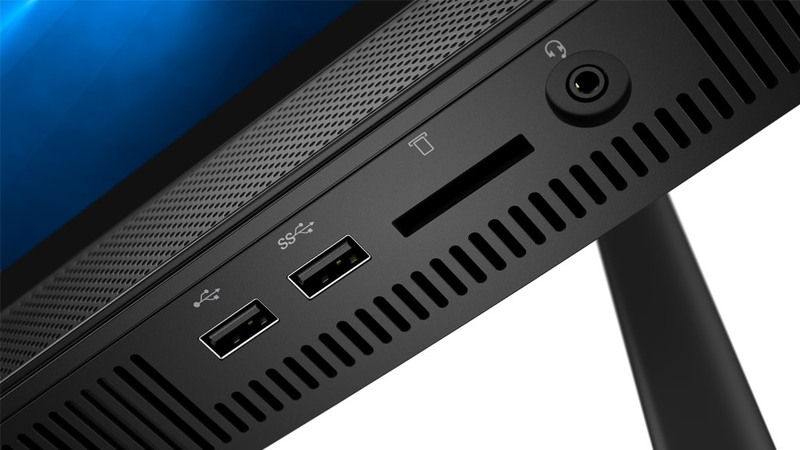 To physically secure your PC, there’s a built-in slot for a Kensington cable lock. 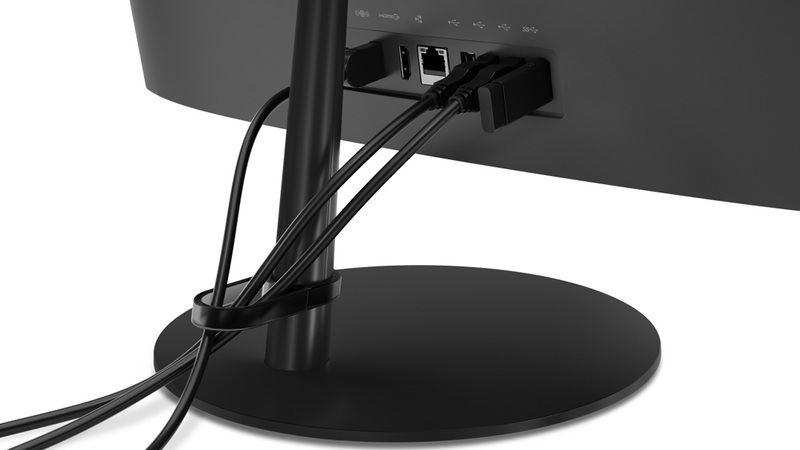 Stylish and sleek, the V130 AIO has a convenient cable holder in the rear to keep your desk free from tangled wires. Ideal for those who enjoy a clean, tidy workspace. Thanks to integrated webcam and speakers, the V130 AIO makes conference calls a breeze. 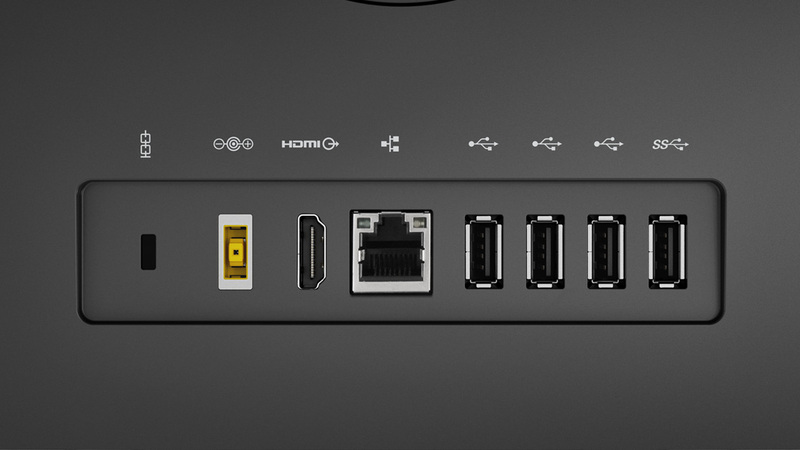 And with multiple ports in the rear and under the display, you can easily hook up your other computing and electronic devices. Each V130 AIO undergoes stringent reliability and durability tests. This includes the ability to perform in cold, warm, or dusty environments, and at high or low altitude. 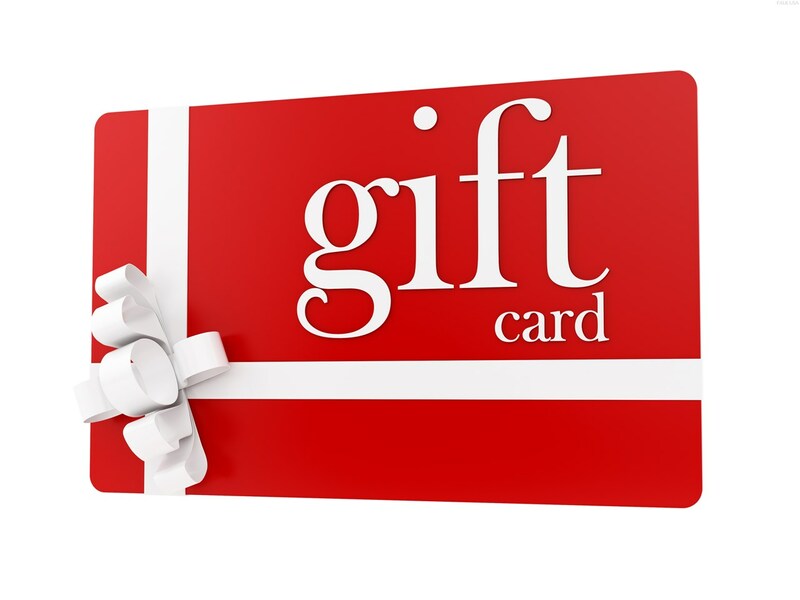 It can also handle everyday bumps and knocks, weather repetitive shocks, and can even survive the Package Drop Test (which simulates products during shipping). When it comes to setting up the V130, simply plug in the cables and away you go. 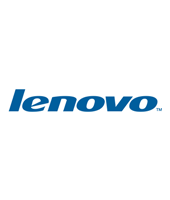 In addition, there are a number of freely available apps and tools, including Lenovo Tangram, to help troubleshoot potential issues and advise on system upgrades.